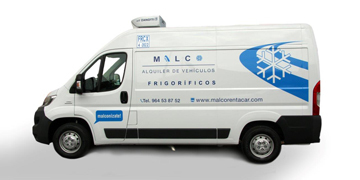 Most professional car rental in Spain. 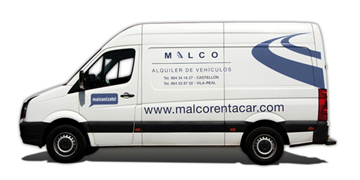 I have rented cars many times in Spain over the years, customer service from Malco was far better than the rest. Highly recommend them. The lady was brilliant and really helpful, we can’t fault them. Very easy and quick !! Very good and easy service. Welcome face of Blanca at airport desk is good to see. Excellent as ever.. Friendly and very efficient service on arrival. No hassle, no bins service. Would certainly recommend Malco and use them again. The customer service was excellent and very quick. Always a great experience. Great company and always a pleasure. Never any hidden extras, cars always clean and tidy. Very friendly with a nice welcome from Blanca. Nice clean car at a good price. Welcome the free water bottles with the car and the bottle opener. Excellent. Everything was remarks. You are really professionals. Excellent Customer Service. I would definitely use Malmo Car Rental again. Very pleasant and helpful staff at Castellon Airport. Excellent customer service at airport. Easy to book, Easy to manage paperwork, Car was great, service with a smile, and all for a reasonable price with full cover! Why use anine else. Thank you Blanca and your team. All very good,could not have been any better. Blanca Sanchez was fantastic,she could not be nicer! and you know you can trust her, thats a big thing when like us you don\\\’t know what your doing,she tells you the best way and the cheapest! And she does it with ease,she makes you feel safe! a great lady! Easy and pleasant experience . Blanca at Castellón airport is so friendly and efficient. It’s a pleasure renting a car from there. The price and cleanliness of the car was very good. Fast efficient service, no hidden extras. Blanca the representative is always very efficient and helpful. Brilliant service no hidden costs! excellent! a very helpful and friendly company, have used them before and will continue to use them, very pleased with the whole service ! Easy process to collect and return car with very pleasant staff. The Castellon Airport office is fine as it is. Easy process to collect and return car with very pleasant staff.The Castellon Airport office is fine as it is. Excellent user experience and time to pick-up a car. Easy to book and easy to pick the car from the airport. Very convenient rent a car company and excellent customer service. Best hire car pick up and drop off ever. Super smooth and hassle free. Great car hire company, no hidden extras to pay at the airport. Car was also upgraded with GPS. Wonderful service and lovely frendly staff. Excellent service. Good online service. I am very happy with the service. All ok. thank you! В Malco Rent A Car вы можете арендовать изотермический фургон-холодильник с оборудованием до 20 градусов ниже нуля. Выберите нужный размер фургона. Если нужно фургон в течении нескольки часов?Посмотрите этот раздел и не платите за целый день.